Stained glass installation: which option is right for me? Stained glass installation is as easy as 1, 2 or 3! 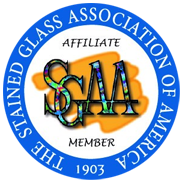 Find out which stained glass installation option is right for you. Learn more about the Super Spacer® Premium triple pane seal that we use.